Newton Ferrers Estate ~ Callington, Cornwall. 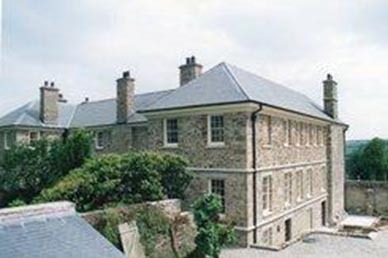 Newton Ferrers House is a magnificent Grade I listed mansion situated near Amytree on the outskirts of Callington in Cornwall. The present house was built in the late 1600’s although there are records of a previous house here at this location in the Domesday Book and even earlier back to 314 A.D. when a family named De Ferrers resided at a property called ‘Newton Ferrers’ after which date it was owned by marriage by the Coryton family, and they lived here until 1739. 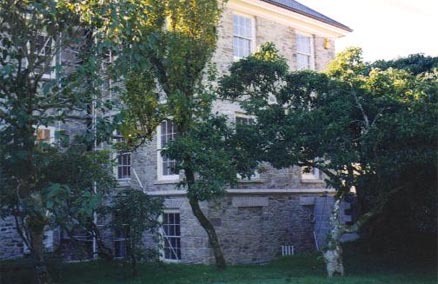 The house we see today is reputed to be the earliest Cornish mansion of classical design without traces of Tudor survivals. 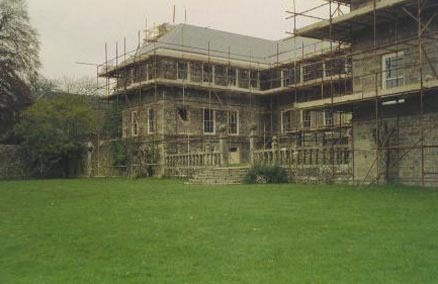 It was built for Sir William Coryton sometime between 1686 and 1695. 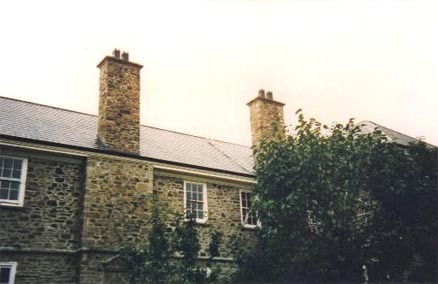 Because of no male hiers in 1739 the house fell into the hands of the Helyar family and they in turn sold it to Edward Collins. 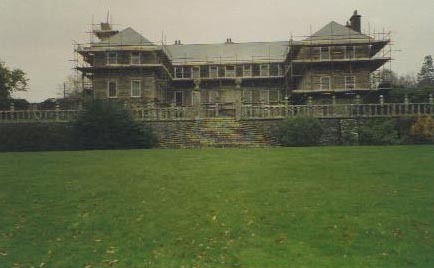 It was his son, Digby Collins, High Sheriff of Cornwall, who restored the house in the 1880’s. 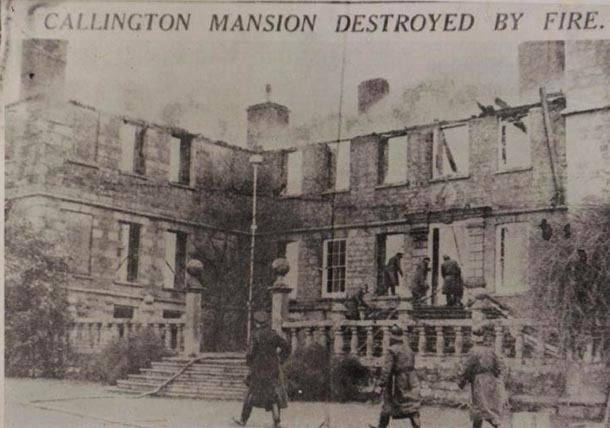 In the 1920’s a fire claimed two thirds of the house. 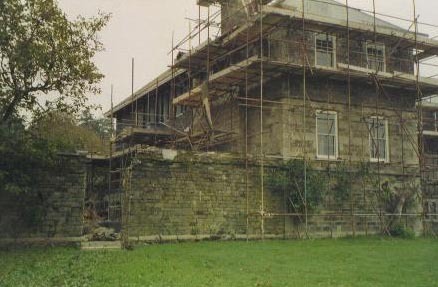 In the late 1990’s new owners had bought the house again and we were asked to completely re-build the west wing back to its former glory which was entirely destroyed during a fire in 1940, and the rest of the house undertook a major restoration. 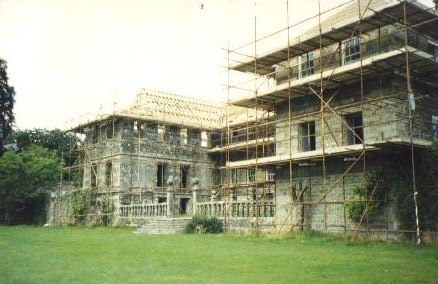 The west wing was three storeys high and constructed using reclaimed random rubble granite and lime mortar. 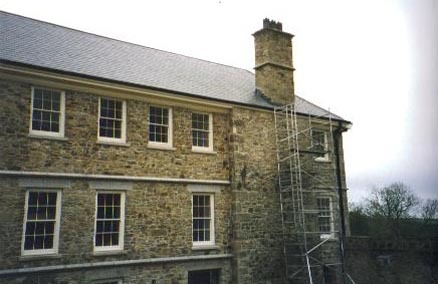 New granite quoins, sills, lintels and string courses were made to match the existing around the rest of the house. 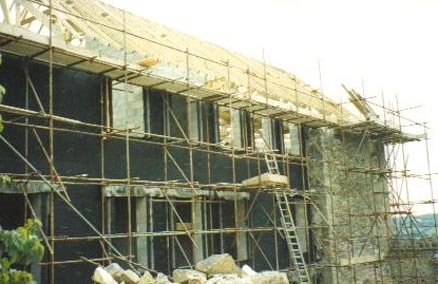 We also carried out the work to several outbuildings and barns that were converted during this major restoration.